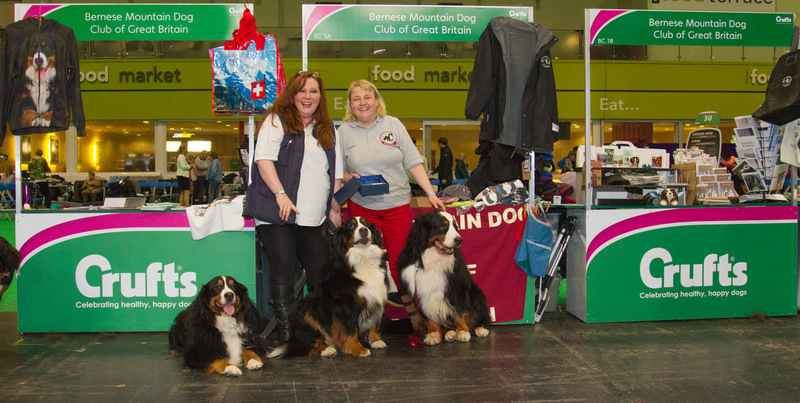 As usual the club had a triple breed stand adjacent to the BMD ring at Crufts on Thursday March 8th for members and all other Bernese interested visitors to take advantage of. This is no mean feat and involves much work every year from Bernershop Manager Helen Thompson and her family, arriving at the hall before 6.00 a.m. along with numerous committee helpers and friends to carry everything in. It then takes quite some time to get the mass of stock unpacked and laid out across the three stalls. 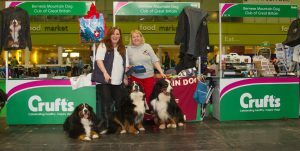 At the same time a part of the stall’s Crufts presence is the Membership and Information section headed by Lianne Marsden. 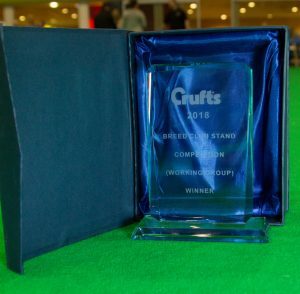 In this case club mailings have to be transported and moved into the hall at 6.00 a.m. to give out to members. At the end of the day all the unsold has to be packed away and taken out again. Although always happy anyway both ladies are looking particularly pleased with themselves here because this year our club stall was judged the Best Breed Stall in the Working Group. 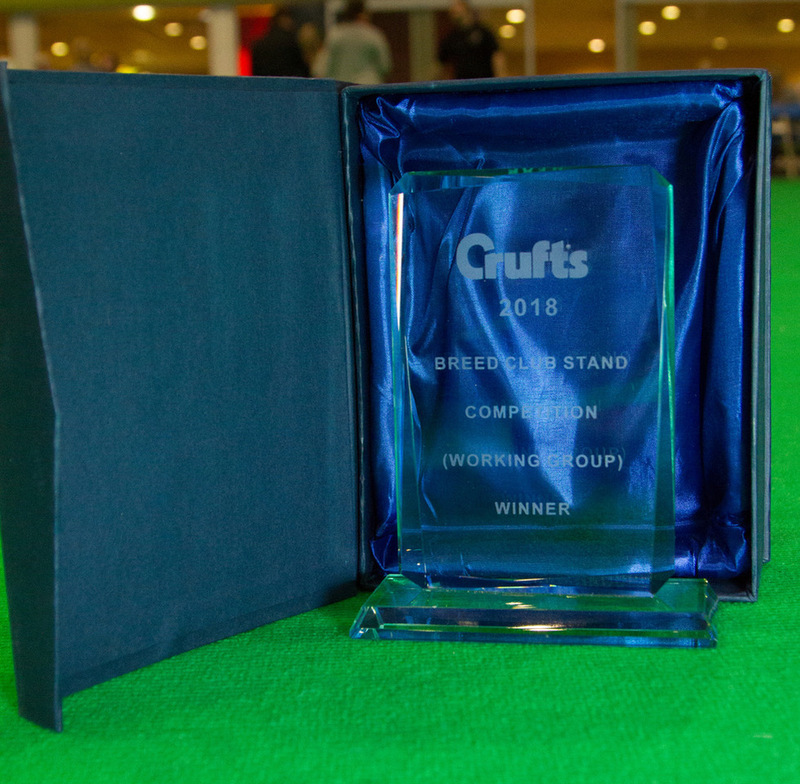 Well Done to Helen and Lianne everyone else concerned, the standard has been set now!